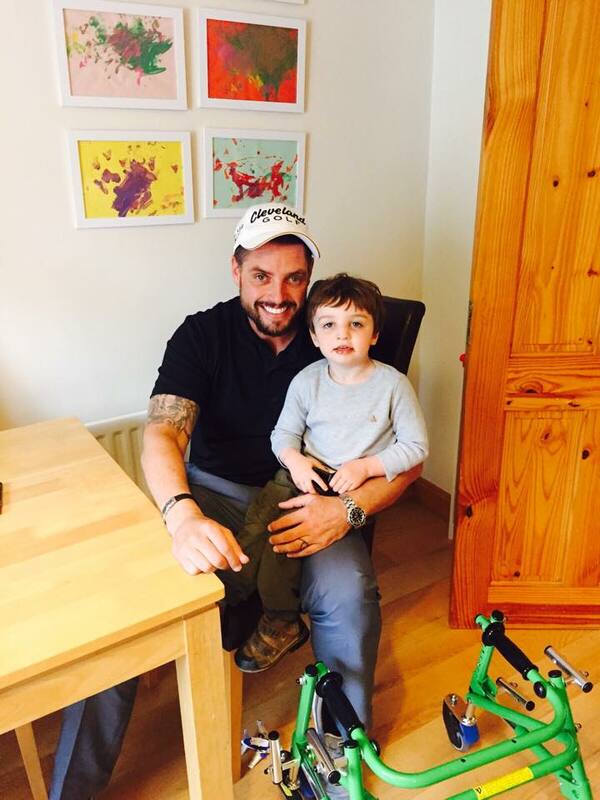 Finn's First Steps will be the first beneficiary of the Keith Duffy Foundation, an initiative set up in the hopes of sending a young boy to the US to undergo a life-changing surgery. At the age of one, Finn was diagnosed with Cerebral Palsy spastic diplegia, a condition which affects his legs, resulting in the muscles being held constantly tight and rigid. Unable to stand or walk independently, Finn’s way of getting around at home is crawling or using a Kaye walker, with which he still requires assistance. Selective Dorsal Rhizotomy (SDR), a surgery which involves cutting sensory nerve fibres in the spine that hold the muscles tightly, the cause of little Finn’s inability to walk, is available in the US. While this surgery is in no way a quick fix for Finn, who will have to undergo three years of intense physio afterward to build up the muscles and strength necessary to teach him to walk, it will give Finn the best chance to experience the fun and freedom of being a child. A black tie ball will be held on December 5, at Dublin’s Powerscourt Resort & Spa, to raise funds for the surgery, flights to the US, accommodation for Finn’s parents, and the rehabilitation for Finn afterward.